The Vancouver Inter-Cultural Orchestra which included four members of the Pacific Baroque Orchestra and led by conductor Marguerite Witwoet performed a repertoire of mostly new works in both modern and ancient styles. Tenor and mezzo-soprano voices were accompanied by an ensemble of Western and traditional Asian instruments. Co-artistic director Moshe Denburg, whose composition War, Love and Loss is the cornerstone of the concert, took over the responsibility of narrator for the evening, providing an informed guide to the concert programme. Mark Armanini’s atmospheric Night Moon opened the evening’s concert. The work is written in seven movements starting with a short prelude and ending in a jubilant A Thousand Victories. Jenny Lu provided the sung narrative in Mandarin. The second selection was Austrian composer Johann Heinrich Schmelzer’s Lamento sopra la morte di Ferdinando III. The performance featured Paul Luchkow, Arthur Neele, Stephen Creswell and Natalie Mackie of the Pacific Baroque Orchestra. The work is a Baroque lament, likely dedicated to his patron on the event of his death in 1657. The quartet managed to give Schmelzer’s less well known work a fresh lease on life. In Two songs of War, Love and Loss: The first, Mi Yitneini of (who will give me wings) is a traditional Hebrew song, for Triste Esta el Rey David (King David was Aggrieved) Moshe Denburg draws on the Old Testament. Mezzo-soprano Jennifer McLaren and tenor Shane Raman sung the entire passage in Hebrew. Shane Raman is Indo-Fijian with no pedigree in the Jewish culture, yet both he and his partner provided flawless diction. Christina Viola Oorebeek’s strangely titled and just as strangely sounding Thirty-six Strategies was perhaps the least accessible selection heard throughout the evening. Much like Night Moon, heard earlier, it is a fusion of East and West cultures. The arrangement would seem to be built around Joseph Bulman’s stunning vocals and Jonathan Bernard’s excursionary percussion. The concert’s only solo piece was performed by Charlie Lui on the dizi (bamboo flute). Zhao Song Ting’s arrangement of Flying Partridge is evocative of a bird in flight. Lui drops an octave as the birds soars down to earth and reduces the tempo as it flies away in the distance. For me, the piece is reminiscent of one of Tan Dun’s film scores. 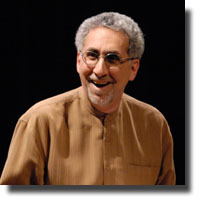 The concert ended with a first public performance of Iranian-born Farshid Samandari’s Birds. But with this episodic piece, birds are metaphorical in symbolizing the intrinsic theme of migration. Jennifer McLaren and Shane Raman returned to the stage to contribute the esoteric narrative initially in Japanese, then in Mandarin, Farsi, Hebrew and finally in English. War, Love and Loss are certainly serious themes and the new music largely reflected this. Though, the programme was not entirely without its exultant elements.